La Tienda @ Alegria is here to provide all Flamenco dancers with accessories to go with their dance needs. Apart from the basic needs of Castanets, Fans, Earrings, Flowers and Combs, La Tienda offers a wider colourful and useful service. At La Tienda you will find Dance Bags, castanet and Fan covers designed and produced by Claudia Karapanou. 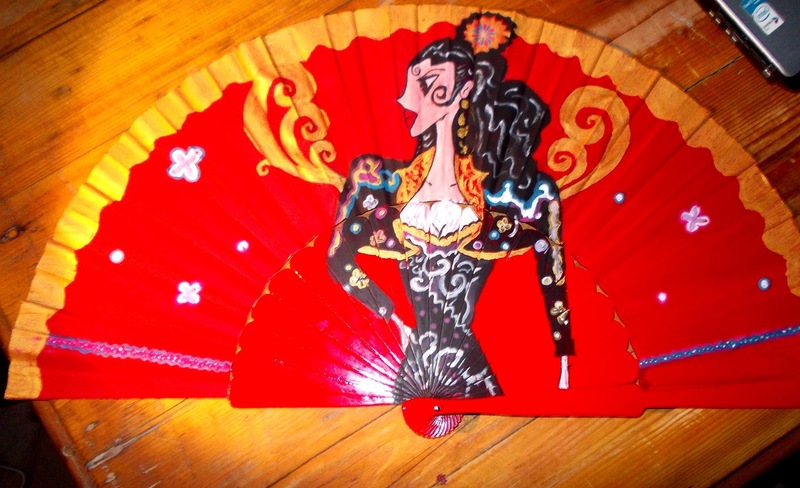 Also designed an created by Claudia are Hand Painted Fans in various sizes, ideal not only for the Flamenco Dancer but also excellent to give out as gifts. La Tienda is also an agent for Begoña Cervera Flamenco Dance Shoes and sales are available on order. Catalogues may be viewed at the Studio. Since Orders are custom made, they may take up to 5 weeks for manufacture and delivery. For Viewing and Purchasing please visit Alegria Academia de Baile Flamenco, 90 Msida Valley Road, Birkirkara, but please make sure we are there to welcome you by calling 9949 5187.